The benefits of using pipeline simulation tools at the piping and instrumentation diagram (P&ID) level, rather than running simulations just on the process flow diagram, can often be overlooked. 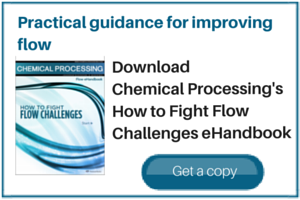 “Fluid flow is the forgotten science in the chemical industry,” says Todd Willman, director of development and engineering with engineering software company EPCON International, Houston, Texas. By not understanding what is going on in a plant’s piping systems, engineers are in danger of “forgetting half the possibility of where you can make your process better,” he warns. As Willman has highlighted before, the benefits of using pipeline simulation tools at the piping and instrumentation diagram (P&ID) level, rather than running simulations just on the process flow diagram, can often be overlooked. The problem, he says, is that chemical engineers “typically have significantly less ‘schooling’ in fluid mechanics principles” than their mechanical engineering counterparts, who tend to take charge of fluid flow analyses in other industries. Leigh Gillard, Asia channels manager with Flowmaster International, Towcester, U.K. and Skokie, Ill., makes a similar point. Speaking of an application of his company’s pipe modeling software at BP’s complex at Hull, U.K., he says BP’s view was that many chemical engineers are “classically trained in production,” and so tend to ignore the mechanical effects of simply getting fluid from point A to point B — events such as valve slamming or pressure surges, for instance. “You can’t just specify a pipe and hope you get a flow down it. You have to take into account many other factors,” he notes. That BP application involved a complete redesign of the utility services at the site, where steam, water, air and nitrogen pipe networks serve a variety of process plants producing a number of basic chemicals from acetic acid to oxygenated solvents. With Flowmaster in use there since 1993 (initially for transient surge analysis of incompressible fluids), BP’s engineers were well versed in how to build accurate design models of all the networks, models which are now continually in use to analyze the impact of prospective changes in the service requirements of each plant. Flowmaster Version 6.5 was released in October 2005 with several enhancements to the basic one-dimensional package that was originally designed to analyze the fluid dynamic effects of fast-acting pressure transients (such as pressure surge and water hammer) in complex pipe networks. The main drivers behind its use in the chemical industry, according to Gillard, are basically asset management — “knowing which pipes are going where” — and simulation of flare and pressure-relief systems. With options including access to AIChE’s DIPPR physical properties database of more than 2,000 components and EPCON’s own two-phase flash models, SiNET is said to be good for general-purpose pipeline network analysis and process equipment sizing and troubleshooting. For its fluid-flow modeling modules, Applied Flow Technology, Woodland Park, Colo., offers the 700-component-strong Chempak database licensed from Madison Technical Software of Westwood, Mass. The basic module is AFT Fathom for incompressible-flow pipe network analysis and system modeling, complemented by AFT Arrow for studies of compressible fluids, AFT Mercury and Titan for incompressible- and compressible-flow system optimizations, respectively, and AFT Impulse for water-hammer/surge-transients analysis. Engineered Software has arranged with around 80 pump manufacturers to incorporate their pump curve data into a web-based pump selection module for Pipe-Flo. The company also is in the process of linking its software into other process applications such as distributed control systems (DCSs). At the moment, Pipe-Flo is only applicable to single-phase flows, but that’s under review, says Blondin, given “a strong customer base in the CPI interested in multiphase flow.” AFT also is considering multiphase. “It’s an area for which, on the one hand, there is a regular demand, but, on the other, it’s a relatively small demand,” Glassen notes. Most users wanting to do two-phase modeling at the moment are more interested in single flows rather than complex networking studies, he finds. Flite Software, Derry, Northern Ireland, has recently expanded the application of its FluidFlow3 simulation software into the realms of two-phase and compressible flow and added some heat-transfer capabilities. The program, developed by a team of chemical engineers, boasts many features that should be of particular interest to users in the CPI. For example, networks containing non-mixing multiple fluids, such as cooling water and process streams, can be analyzed within the same flowsheet. The fn-PRO version of the FlowNet software from Engineering Design System Technology, San Francisco, Calif., has offered gas/liquid two-phase flow capabilities for a couple of years now. Multiphase calculations are performed automatically without having to manually enter vapor/liquid properties and compositions, says principal John Cheng. A version of the software now is available for modeling non-Newtonian flow. Current developments under way for the fn-PRO program include heat-loss modeling (through piping insulation, for example), heat-exchanger network analysis, and an fn-FLARE module for flare and knockout-drum applications. Meanwhile, ABZ Inc., Chantilly, Va., has found the market for its fluid flow analysis program, Design Flow Solutions, broadening over the years. “Different users want different outputs, so we are looking at making the program more user-configurable so they can choose their own settings and options,” says co-owner and founder Warren Brewer. Outputs can now include a complete bill of materials report listing all components used in each branch of a network. Specialized software vendors aren’t the only ones addressing pipe network analysis. Indeed, two of the largest process simulation vendors — Aspen Technology, Cambridge, Mass., and Invensys SimSci-Esscor, Lake Forest, Calif. — also offer their own particular takes. For instance, the Aspen Hydraulics suite of products, while aimed mainly at upstream oil and gas applications, can deal with transient and dynamic flow problems. For both up- and downstream, Aspen FlareNet (Figure 1) can model typical flare or vent systems involving several hundred interconnecting elements. Invensys SimSci-Esscor offers Inplant, a rigorous steady-state simulator for designing, rating and analyzing plant piping systems — from process pipes to steam and utility distribution systems to flare relief networks. “A nice thing about Inplant is that it can do rigorous three-phase flow, everything from simple bulk properties to rigorous thermodynamics,” says Jim Browne, upstream technology director for the Inplant business and the related Pipephase program for upstream applications. For the moment, Inplant doesn’t have an interface with any of the proprietary CFD packages, although Browne says “one of the companies we have been looking at is Fluent.” Now a comment like that from one of the major control vendors is usually enough to send rumors of mergers and acquisitions spreading around the industry like wildfire. But as Fluent, Lebanon, N.H., was acquired in May by ANSYS, Canonsburg, Pa., SimSci-Esscor’s interest is clearly co-operational. Inplant wouldn’t be the first pipe-network-analysis software to link into Fluent, however. Flowmaster, for instance, has interfaces with both Fluent and Star-CD, the CFD code from CD-adapco, Melville, N.Y. and London, U.K. Whether such power is needed for pipe network analysis is debatable, of course. EPCON’s Willman still says “you can solve a whole lot of problems — especially in the energy and utilities areas — by doing the simple analyses. We don’t want to get away from just giving the engineers out there tools that are simple to use.” No doubt in their own way, the likes of Comsol, Fluent, CD-adapco, AspenTech and SimSci would all agree with that sentiment.